A renowned restaurant that was closed after diners reported becoming ill can reopen Thursday, although the exact source of the outbreak has not been identified, British health authorities said Wednesday. The Fat Duck restaurant in Berkshire closed at the end of February after some 40 diners reported suffering from diarrhea and vomiting. 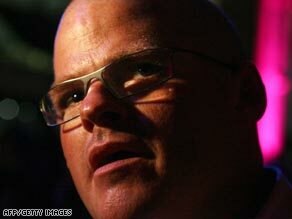 The eatery with three Michelin stars is run by award-winning chef Heston Blumenthal. In 2005 it was proclaimed the best restaurant in the world by the “50 Best” Academy of food critics, journalists, and chefs. “Results of some tests are still awaited and the detailed questioning of people who reported illness is likely to continue for some weeks in order to build a more complete picture,” said a written statement from the regional Thames Valley Health Protection Unit. As news of the situation spread, up to 400 people reported becoming ill after eating at the restaurant before it was closed. It was not clear whether any illnesses required medical treatment. The Health Protection Unit and environmental officers from the Royal Borough of Windsor and Maidenhead said restaurant managers agreed to comply with the recommendations made after a risk assessment. According to the statement, risk assessments in outbreaks of illness linked to the food industry include looking at “any high-risk foods from point of supply to the food reaching the plate, the environment — both in the restaurant and food preparation areas, cleaning methods, and materials and food preparation.” The Fat Duck is renowned for such eccentric items as snail porridge, salmon poached in licorice gel, and scrambled egg and bacon ice cream. Diners must book at least two months in advance. The restaurant charges £130 ($185) for the tasting menu and £98 ($140) for a la carte. Blumenthal has had several TV food shows in Britain. His latest is the current “Heston’s Feasts,” in which he recreates historical recipes from ancient Rome to Victorian Britain. A native Londoner, Blumenthal trained himself in French cuisine after failing to find work as a teenager in top London restaurants, according to his restaurant’s Web site. He worked in various jobs to fund trips to France to learn about cooking and wines.